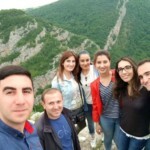 The Armenian Bar Association offers an Internship Program for its members in the Human Rights Ombudsman’s Office of the Republic of Artsakh. 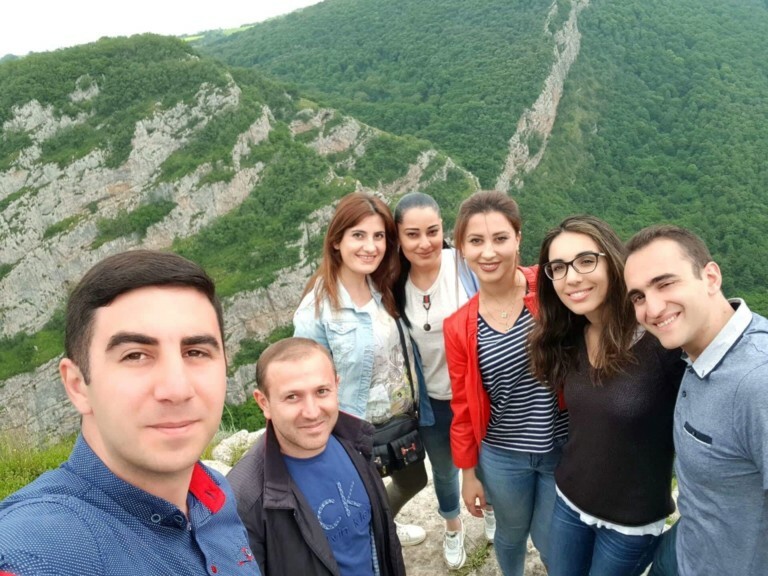 The program’s objective is to provide hands-on experiences and real-life opportunities to law students, recent law school graduates, and new attorneys who have a demonstrated keen interest in human rights and a personal commitment to the ideals of Artsakh. Report its findings to the state, local governmental institutions, and their officials in order to restore the violated rights, as well as initiate a disciplinary proceeding. Daily responsibilities will depend on the individual’s background, the intern’s assigned office, as well as the internship period. The intern will be under the supervision of the Ombudsman. 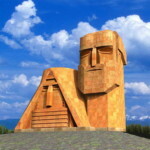 To qualify for the internship with the Human Rights Ombudsman’s Office of the Republic of Artsakh, an applicant must be enrolled in a US based law school and have completed at minimum the first year at the time of the start of the internship. Applications from recent graduates awaiting bar results and new attorneys are also encouraged. 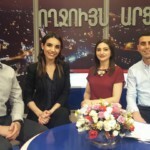 Armenian is the working language of the Human Rights Ombudsman’s Office. Fluency in English (both oral and written) is required for the internship program. 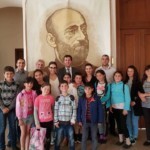 Knowledge of the Armenian language would be an asset. Armenian Bar Selection Committee conducts screening interviews with select applicants and identifies a limited number of finalists to be interviewed by Ombudsman. Finalists are then selected for placements. Start-dates may vary with each applicant. Students accepted into the program may receive public service hours or may qualify for independent self-study project as approved by the student’s law school requirements. Screening interviews, administered to aid in evaluating applicant qualifications, will be conducted on a rolling basis. We will attempt to interview applicants in the city where they attend school and conduct such interviews in-person. Applicants will be contacted by their assigned screener to schedule the interview. Only qualified applicants will be advanced to the round of ombudsman interview and will be notified when they are moved forward to the next level. The Ombudsman will determine his own protocols and processes for interviews and ultimate selections. To be clear, not all applicants will be granted an interview even after the Armenian Bar Selection Committee forwards its candidates. The Ombudsman, in his individual discretion but with input from the Armenian Bar, will determine which applicants he will interview and ultimately hire. If an applicant has been selected for an interview, she or he will be notified either by the Ombudsman or by the Armenian Bar staff. The Ombudsman interview will be conducted over the internet. The interviews are slated to last approximately 30 minutes. 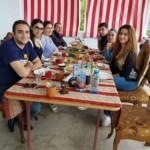 If an applicant has individual constraints on her or his summer availability, she or he must inform the Armenian Bar prior to scheduling an interview. The Ombudsman will determine the exact length of the internship, and he may expect applicants to stay longer than the four-week minimum. If an applicant declines an offered position, she or he will be removed from consideration for other positions unless there are extenuating circumstances. If an applicant is accepted into the program, the applicant warrants that she or he is committed to participate and fulfill the requirements outlined by the program. 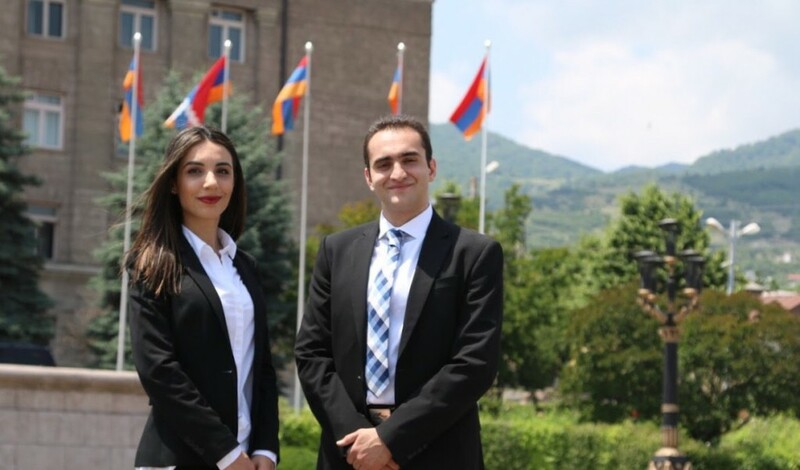 Pictured left to right: Anahit Sargsyan (UCLA Law School), Davit Avagyan (Notre Dame Law School). Read more about Ms. Sargsyan’s experience. 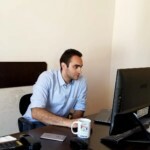 Read more about Mr. Avagyan’s experience. Generous donations help keep our programs running! Thank you! 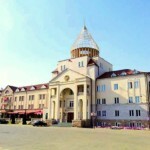 The Armenian Bar Association is an I.R.C. §501(c)(3) non-profit organization.